If you’ve seen the news, you would have seen a devastating fire of grand proportions, of the Grenfell Tower building in Kensington, London on 14th June, 2017. The purpose of this article and video series is to report real truths from real people and to also expose that the government reacted poorly, neglected residents and possibly even have a hidden agenda. Some are calling it mass murder, and many are seeking answers, justice and accountability. This is for the children, their families and loved ones, so they are remembered, honored and are given a voice beyond their graves, that are not even yet made. This is now a revolution and uprising of the people, real people - for truth, justice, equality and a dire need for social and political change. It is about voice. The collective voice of the under privileged rising from the ashes. If anything positive at all can come from this disturbing event, it is that love, compassion, true generosity and the spirit of people coming together is what life is truly about, and that it’s truly time for people to wake up. I watched the whole fire unfold on both mainstream TV and You Tube videos made by real people in the local area. I saw bystanders desperately wanting to help, yet due to the circumstances and the way the fire was spreading, many were unable to do anything. They were completely powerless, traumatized and heartbroken as they watched people perish behind windows, or plunge to their deaths in front of their eyes. I listened to their devastating stories: witness accounts of children being thrown out of windows in pure desperation, something only a parent would understand, and I heard haunting sounds of the screaming shrills of children burning alive with my own ears and I will never forget it. I can’t imagine what those people experienced, as well as the firefighters. There are so many aspects of this situation. It has become obvious and blatant that the government, along with its minion puppets: the media, tried to paint over and cover up the facts leading up to during and after the fire at Grenfell Tower and in the process crudely and purposefully suffocate the voice and concerns of the residents and the local community. The burnt out skeleton of the Grenfell Tower stands like an unmasked omen, a hauntingly stark insignia of the clearly cut division between class and race – marking so palpably the cool, cruel schism between the rich and the poor. A sky-high viral icon in cinders, landmark of everything wrong in the world, the remains of an unforgiving silent and relentless war of hardship, disparity, oppression and neglect. It is a stark, haunting image, a wound in our hearts and minds that, like smoke, will linger. The resounding after-effects remain: torn, broken and bare. This, is about revolution, insurgence and human, social justice. No longer hidden. It’s now in plain sight. I encourage you to start to really question mainstream media. Instead, watch videos made by the people, and other trusted alternative news sources, and see for yourself. · The public housing tower building had 24 levels, 124 flats and 227 bedrooms. · Residents were predominantly poor or ordinary working class people, including some refugees, the elderly, disabled people, individual, families with children, and people of varied ethnic backgrounds such as Muslim, Malaysian, Moroccan, Syrian and so on. · Kensington is one of the richest places in Britain and even the world, and this tower was one of the old, ugly, neglected council-run social housing buildings sandwiched between luxurious apartments owned by the extremely wealthy. · The fire was said to initially be caused by a fridge exploding in a flat on the 4th floor, but some people question whether that is true. · The fire spread unusually rapidly because of the cladding fitted onto the exterior of the building for solely aesthetic purposes, which I will discuss in more detail further on. · It continued to burn for 60 hours. · Many people were hopelessly trapped. · People and children were desperately waving material, flashing torches or putting their hands on windows, screaming for help – they were told to keep inside. · In desperation, a baby and other children were being thrown out of windows by their parents, and there were adult jumpers also. WHY WERE AUTHORITIES & MEDIA LYING ABOUT THE NUMBER OF DEATHS, OR EVEN POTENTIAL DEATHS? 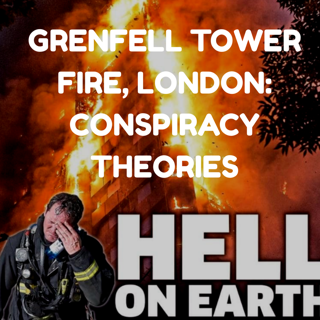 · Secret information was revealed to a local that a firefighter saw around 42 dead bodies (both adults and children) squashed and heaped in one room alone. 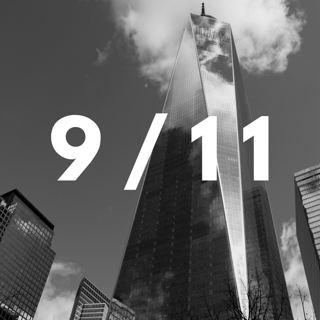 · Many survivors speak of stepping, trampling and falling over so many soft, burning or smoke-consumed bodies on the stairwell alone (about 60-100 people) yet the authorities officially reported so few deaths. · Residents say there are so many people still left unaccounted for. The whole building would have housed 100s of people, some say in the 200-300, others say 400-600. Why can’t they reveal the correct number of residents? It is a council building after all! · There are many people that have lost their children, parents or other family members or friends. · It was reported that 65 people were rescued by firefighters, and 74 people (17 of which in a critical condition) were confirmed to be in various hospitals. · First they said 6 people died, then 17. By June 20th it was confirmed 79 had died or were “missing”. There are still many more unaccounted for that the authorities are simply ignoring, excluding, not admitting and covering up. Residents and friends are making posters and stating that the numbers are much, much higher, but this is not being reported on main news outlets. · Tenants say that the fire brigade were reluctant to fight the fire at first, they didn’t attack it until 2-3am. Some say there were issues getting the fire hoses closer to the building. They also couldn’t get into the building as the door was slam shut until resident handed their key, a tenant said by this time the right side of building was engulfed completely in flames, the left and middle where the stairwell and exit is, looked clearer. After that, the fire went out of control, there were explosions, blue flames etc. (this was one of the concerns repeatedly raised by tenants to the TMO). · Gas pipes were fitted in the stairwell which were extremely hazardous and temperamental (this was one of the fire safety hazards that the tenants had been complaining about before the fire). And there was only one stairwell for tenants to exit. The fire happened all up one side of the building, where there was the one and only exit as well as the gas pipes. Doesn’t that also sound awfully deathly as well as suspicious? · There was no other way out, outside of plunging to one’s death out of a steaming hot window of melting plastic. Tenants knew that the gas pipes were there and that also made some of them reluctant to go downstairs, knowing that they could explode or leak at any moment. So many people died on the stairwell, could toxic fumes from these pipes have added to the lethal smoke inhalation from the fire? Could there have been other toxins involved? ​· There is another suspicious element that doesn’t sit right with me: only two days before the fire there was some kind of inspection in the building. The inspectors knocked on all doors and told residents that in the case of the fire to stay inside their apartments, to not try to escape! Obviously this advice was fresh in their minds, and then repeated again by emergency services, and in the end as we know that this safety instruction was rather the deathtrap and downfall of the people of Grenfell! · By-standers tried desperately to help, they wanted to get mattresses for people jumping etc – police told them not to help – that they were dealing with it. Later people questioned this, and have stated they were pushed out and feel they could have helped in some way. However there was the risk of falling debris to keep into consideration. · Victims were given extremely ill advice by emergency services to stay inside in their flats, rather than try to escape. That is something that caused many lives to be lost, and people are extremely angry about that. There were also stickers placed all over each block level that tenants would have seen every day, that said clearly to “stay put” and keep in your flat in the case of a fire. · While people have praised emergency services and hard-working firefighters, some of whom went against protocol and risked their lives to save people, there has also been criticism of why there was a helicopter taking photos and video of the event for the news, yet there were no rescue helicopters or planes carrying water or rescue equipment. Also, why weren’t any safety nets or equipment supplied for jumpers or falling people to land on? Victims were falsely assured initially that they would be saved because they saw the firefighters and one helicopter. Little did they know it was only taking images. · At some point there was no water so people couldn’t even protect themselves with water. · PM Teresa May was severely criticized for her absolutely cold, emotionless and “too little, too late” response and for not properly visiting the people. She did a quick appearance and ran away, later siting security concerns. This was seen as incredibly weak, rude and heartless. The people were completely let down, and angry. They felt that they were not worth a visit, care or help. People feel she was extremely incompetent and should withdraw from office. She was accused of “gross negligence” and many were losing faith in the Conservative Party and their “austerity” regime. Artificial forms of help were eventually put in, but too little too late. 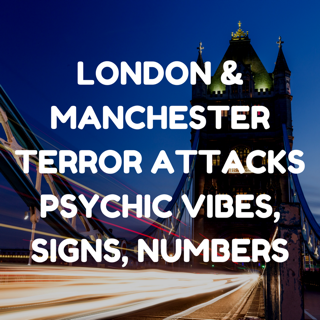 · The whole after response was very badly handled and managed, and it was highly noticeable. · Phone Numbers (help lines) that were given out through media were badly managed. They were not even on, a victim who desperately needed help got a voice message saying no one was there to man the calls even though the number was just placed on the TV. · Inaccurate information was given to people through media. We were told lies. This applies to both victims and the public at large and all around the world through global media controlled by people of power, agenda and fortune. · It is a fact that these people were completely neglected and treated like third class citizens. · Those affected were desperately trying to get information about their loved ones (whether they were dead or injured) in the days and even more than a week after the fire, but were turned away or they simply did not know where to go or who to turn to. There was nothing set up for them as there normally would be in any other crisis situation. · There were no supportive services, clear instructions or information, resources or organizational structures immediately put in place to direct victims and their families and friends. Instead, the community came together and themselves provided food, water, clothing, toiletries, hugs, support, accommodation and assistance of every kind. People on the street helped each other, as well as churches, mosques and people were opening their homes to take in victims who they did not know in person. ​· The death toll was totally inaccurate, played down and confusing, like they wanted to deliberately make it look less and cover it up or wait for the hype to die down before revealing the truth and enormity of the situation. 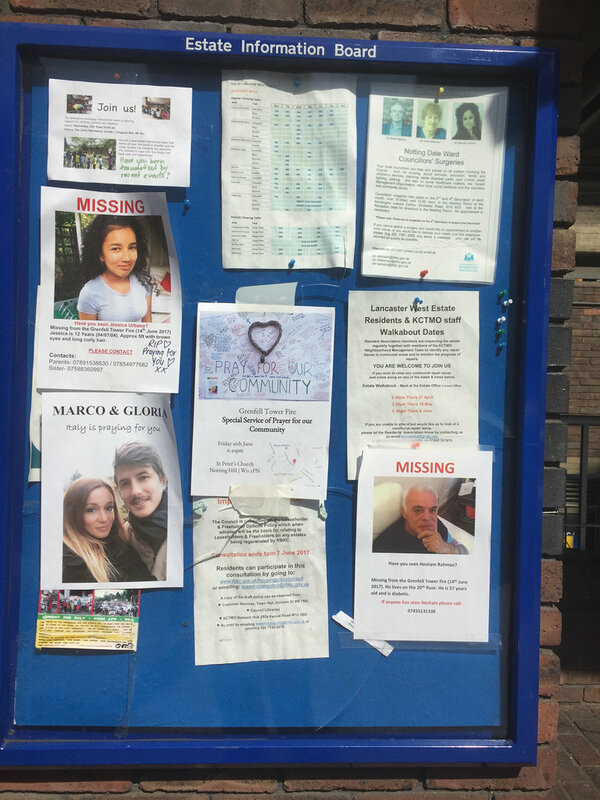 · They kept referring to the dead or injured people as “Missing” – which is just utterly ridiculous, this is something that particularly irritates me and many other people. It was completely upsetting especially for people trying to find their loved ones. Why call them ‘Missing’? They are obviously either dead or injured – this building was burnt to its shell (they also used this word ‘missing’ in the aftermath of the terror attacks in London just a week or two before the fire). It’s not like they were lost or abducted is it? We all know that they are most likely burnt out bodies in a heap in the building or in a morgue or undisclosed location. · People were looking for their children and loved ones and were not allowed access to the building or to information. · Teresa May eventually said that there would be a ‘Public Inquiry’ into the matter. However legal experts on the side of the people have said that public inquiries are internal and keep the Government safe, that that is a deliberate decision in order to protect themselves. It is better to have an ‘Inquest’, where an outsider (Coroner?) looks into the situation and the residents of the building can get involved. · While the media portrayed survivors as having hotel accommodation, they didn’t report how some people were being kicked out after a short stay. They were not given any food or clothing by authorities. Others were given accommodation with no hot water. Others none at all. · The Government publicized its declaration after some time, that it would offer 5500 Pounds for each victim. But they didn’t reveal how people would have to sign all these forms and that it’d come out of future payments. Residents and locals feel that someone needs to be held to account for this. There is a lot of criticism also that it is a “profit before people” government, a materialist, capitalist society with no care or regard for the poor. They are in outrage but also wanting peaceful protest, as they are well aware that the media will paint them out as violent thugs of society, even though they are so genuinely and justifyingly angry. They are intelligent, heart-centered, well-spoken, caring people who want answers, equality and justice. They are over the fact that they have been ignored and treated like third rate citizens, as the rich get richer and poor get poorer. You can understand why words and phrases are being thrown around, like “social cleansing”, “ethnic cleansing” , “Gentrification”, “corporate manslaughter”, “profit before people,” and a “crime against humanity” in what is hauntingly appearing like a “Hunger Games” society. Compassionate David Lammy is bravely and heroically doing his part He has voiced that in videos. · Tenants had repeatedly voiced their concerns to the TMO (the Tenant Management Organization of the Royal Borough Kensington & Chelsea) about the condition of the building and their deep concerns about fire safety. They asked repetitively, again, and again, they were literally begging, however they fell upon complete deaf ears and were completely ignored – their legitimate concerns were not investigated during the regeneration works. · 90 percent of tenants had signed a petition asking for an investigation into the TMO, the organization that runs the building because of their incompetence. The council turned them down. · 68% of tenants were bullied, harassed, threatened by this organization and contractors doing the work. They were threatened that legal action would be taken against them, knowing very well that these people were not in any position to financially afford it! They tried to get lawyers but legal aid had been cost cut and so they were in an utterly helpless situation. · there was no fire equipment, sprinklers or working alarms. The Government had put in place a “Regeneration” program to make improvements, and so there was one in Kensington. There were two options, to either DEMOLISH the building, or ‘regenerate.’ Here you can see real evidence of a request put in to demolish the Grenfell building in 2014. This looks so incredibly suspicious, so you can understand how the tenants feel. As a part of this regeneration, the public library, an important resource for locals, was closed down and turned into a private school for the wealthy in the area. A public school was closed down and turned into a gym! A pet pampering business opened up. You get the idea! Locals say that instead of spending money on safety, which was a major concern for residents that was repetitively ignored, it was spent on sprucing up the exterior aesthetic look of the building, as well as others in the area, as a quick fix so that they ‘appear’ more pleasant looking, for the “gentrification” of the area, for rich people who live in expensive, luxurious apartments nearby, and so that people and commuters have a nicer view on their way to Westfield (allegedly owned by Zionist elite by the way). Residents are fuming that 10 Million Pounds was reportedly spent on the building for its apparent “regeneration”, yet they can’t see where the money was spent in the real ways that was direly needed, instead money went on cheap ‘cladding’ – a type of exterior paneling that was placed on the outside of the building (just for aesthetics, to make the building look prettier, so that the rich people in luxurious apartments would be happy). Many criticized the regeneration works as being shoddy work being done, with obvious cost-cutting issues. They chose this particular cladding, for a cheaper price, rather than spending only 2 pounds more for each piece to make it fire safe!! The cladding was made from a cost-cutting material that was later outrageously found out to be highly toxic and unsafe and the major cause for the fire to rapidly spread up the building, right over and down the other side. It spread and burned rapidly and relentlessly like wildfire, igniting and spreading upwards like a thin piece of paper, turning Grenfell block into a towering inferno killing all those people and it’s a total outrage. The cladding was made from aluminium composite with a polyurathane core and has been proven to be not only combustible but also highly toxic, which people knew before the event, because it was banned in most European countries including Germany, as well as rich Dubai and the U.S.A, for the very reason that it’s a clear fire safety hazard. The insulation manufacturer has confirmed that the cladding releases toxic gases if on fire, because of its toxic levels of cyanide, which contributed to the toxic poisoning of the victims. Cyanide is reported to be one of the deadliest poisons there is and cyanide poisoning has a host of symptoms, which on top of the severe smoke inhalation, sped up the dying process of the victims stuck in the building, or desperately trying to make their way down the stairs. ​The question has to be asked – is this cyanide poisoning also why so many people died in a heap on the stairwell and in their rooms? Some of the hospitals did report that they were treating some of the victims that came in from the fire from cyanide poisoning! So there is proof already. After the fire, other tower blocks with this same cladding was inspected, and every single one of them failed safety tests. It is said there are over 200 buildings. People were consequently evacuated from some of these buildings, causing a snowball effect of other social and housing issues. ​Why was the construction company using a banned product? Who’s responsible for choosing it? Who do we hold accountable, and are there more parties involved? A criminal investigation ensues, but can we trust the Government? ​Was there a deliberate negative secret agenda behind the fire? were these victims pawns in a chessboard game by a sinister, elite, greedy cold-blooded group of people? The cladding turned Grenfell into a cruel, unyielding, lethal incinerator – was this a modern day holocaust? These are but some of the questions we need to ask, and we can’t just let it go. ​Whether accidental or deliberate, you cannot deny that this was the result of gross negligence and the turning of a blind eye. This is mass murder, at the very least by negligence, at the most deliberate manslaughter and cold-hearted social cleansing. To sicken matters even more, less than two weeks after the fire, there’s was a news announcement that the Queen of England will get a pay rise of £42.8million ($AUD71.8m). A lot of this money will be used to fund decade-long repairs to Buckingham Palace!!!!! I just think it’s a slap in the face and it says it all!! I’m all behind a people’s revolution! Vocal, impassioned victims speak at Public Meeting which reveals a lot of concerns weeks after the fire.